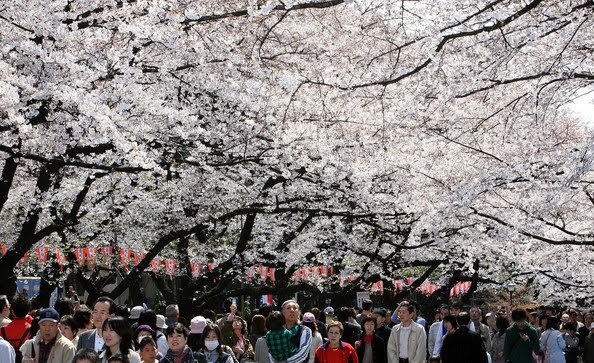 The sakura season in Tokyo has barely began, but the city is already draped in dazzling shades of pink and white. The blossoms arrived just in time to welcome the all-important day of April 1, when, by tradition, the first day of school coincides with the first day of work for hundreds of thousands of university graduates entering the work force. Crisp white shirts, new black suits and brown leather attaché are as ubiquitous as the spring blossoms themselves. This year, the triple threat of earthquake, tsunami and nuclear crisis have cast a thick shadow on the season of hope and renewal. Each day citizens wake up to the new reality of a nation teetering on the brink of a Chernobyl-type disaster. 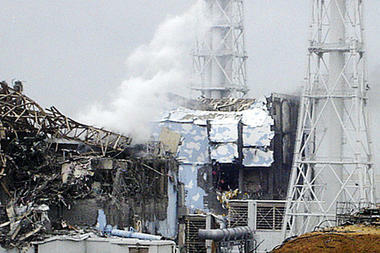 Nearly a month after the March 11 earthquake and tsunami, TEPCO, operator of the damaged Fukushima (福島) nuclear plants, remains utterly incapable of containing the radiation leaks. To cool down the overheating reactors, sea water, fresh water and water with neutron-absorbing boric acid were dumped every which way from helicopters, fire engines and a 20-story tall truck donated by China. And when contaminated water started to build up and leak into the ocean, the power company tried to stop it using liquid glass, saw dust and even old newspaper. TEPCO’s kitchen sink approach to a mounting environmental catastrophe takes us right back to the BP oil spill in the Gulf of Mexico a year old, where every solution seemed just as bad as the problem itself. And if the worst environmental disaster in U.S. history had raised public awareness over the safety of offshore drilling, the Fukushima crisis has no doubt rekindled worldwide debate over the wisdom of nuclear power, even when used in resource poor, energy hungry countries like Japan. 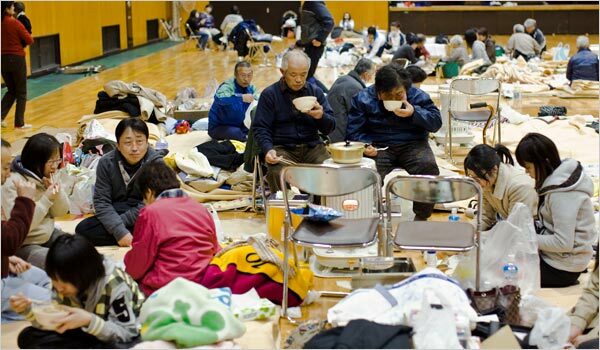 So much has been made of the Japanese people’s patience and self-sacrifice in the face of extreme adversity. Words like gaman (我慢; endurance), muga (無我; selflessness) and omote-ura (表里) – that national requirement to keep all negative emotions locked up inside – were tossed around all over the Western press. At evacuee shelters, men and women of all ages organized themselves to keep the premises clean and the rationing of provisions orderly. Residents stranded within the radiation zone became self-reliant, melting snow to make drinking water and chopping up bamboo to make chopsticks for themselves and others. In big cities like Tokyo and Yokohama, citizens unplugged all home appliances except for their refrigerators to conserve electricity for those who needed it more. A legion of anonymous power plant technicians dubbed the “Fukushima Fifty” stayed inside the pitch dark facilities to resuscitate the backup cooling systems, despite lethal exposures to radioactive iodine and cesium. In a true collectivist society, not even certain death is a price too high for the greater good. While the nuclear crisis has brought out the best in the Japanese people, it has also brought out the worst in their government. The Kan administration has been widely criticized for being less than forthcoming about the true extent of the radiation leaks. Is it simply a case of bureaucratic tendency to downplay bad news with vague language, or is it a reflection that government officials have become far too cozy with powerful corporations? 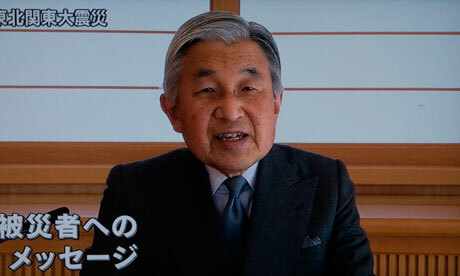 Instead of pressuring TEPCO to get their act together, the government turned to the people and called on them, with the help of Emperor Akihito (日皇明仁) no less, for more understanding, more patience and more sacrifices. But all that gaman, muga and omote-ura is about to run out, as citizens struggle to grapple with the political reality that the frequent changes in leadership – 14 prime ministers in the past 20 years – have brought about little or no change in policy and accountability. The southwesterly wind strengthens as spring rolls into early summer, carrying with it traces of iodine-131 that will slowly thin out over the South China Sea. Just the same, the new round of radioactivity blown from northeastern Japan promises to throw hypochondriac Hong Kongers into renewed paranoia. 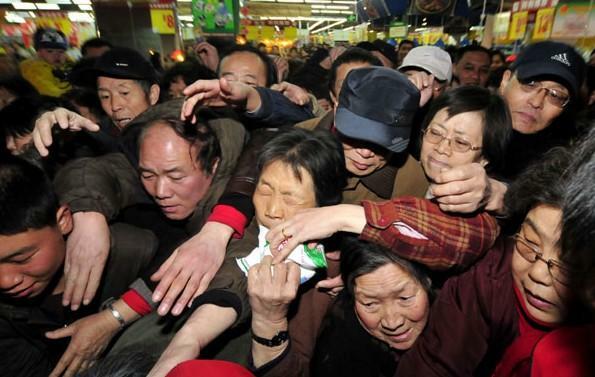 Days after the nuclear explosions in Fukushima, hundreds in Hong Kong along with many more in Mainland China overran supermarkets buying up table salt, soy sauce and anything that contained iodine to fend off thyroid cancer. There was a run on all things Japanese, from baby formula, abalone and dried scallops to camera lenses and even cars. Ugly human behavior in times of an epic disaster is not uncommon, but exposing our selfish, every-man-for-himself true nature because of a disaster 3,000 miles away had to be a first. Our tendency to panic and switch off all common sense becomes all the more laughable when you consider how Hong Kongers inhale massive amounts of much more harmful carbon monoxide and lead particles from vehicular exhaust and factory emissions on a daily basis and yet no one bats an eyelid. Whatever the situation, it seems, we can always count on a few bad apples to embarrass us in front of our Asian cousins. A far more intriguing aspect of the Chinese’s reaction to the continuing nuclear crisis in Japan is perhaps all the conspiracy theories that have been swirling around on the Internet. Reports that trace levels of the highly toxic plutonium were found near the crippled power plants have, rightfully, drawn our attention. Japan’s decision to use plutonium (purchased from France and England) in their nuclear reactors when uranium is much more abundant and much less expensive has fueled suspicion that the country has been secretly turning spent fuel into weapons-grade plutonium in a furtive attempt to counter China’s rising hegemony. It would be months if not years before we find out whether these conspiracy theories hold water. For now one thing is certain: nearly six decades after the Pacific War, many of us still wonder whether Japan has really learned its lessons from World War II, and whether that frightful imperial flag would one day fly again and lead the country down the same gruesome path it did two generations ago. For why else, we wonder, would the Japanese government still leave out the truths about its wartime atrocities from history textbooks?